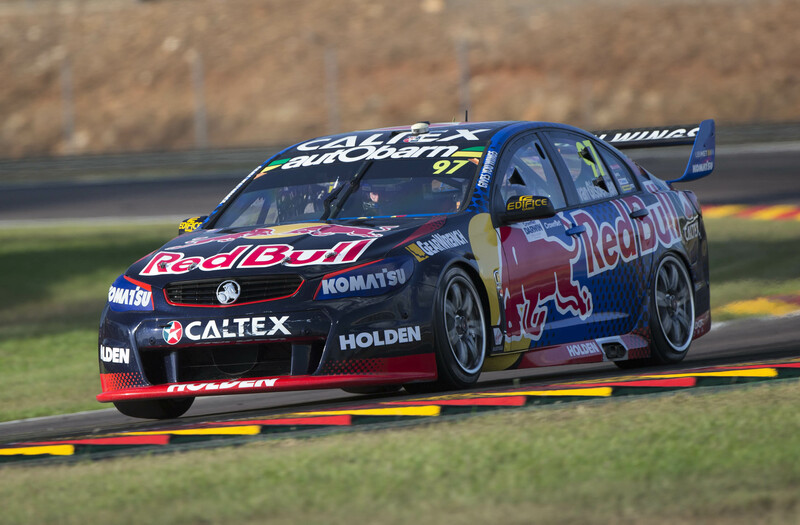 4:30pm – Our best wishes go to Lee Holdsworth, speedy recovery mate, we hope to see you back on track soon! 11:20am – Double POLE!! Deja vu? SVG will be starting today’s race from P1 and Jamie will be in P10 after a slight mistake into the last corner. 9:45am – Qualy done, top ten shootout here we come! Jamie will be second out and Shane will be fourth to find their grid position for this afternoon’s race. 9:15am – Qualy up next with a ten top shootout straight after. Give us a hell yeah if you’re excited. HELL YEAH! 6:45am – Life at the track before the fans flood in to catch the real action. 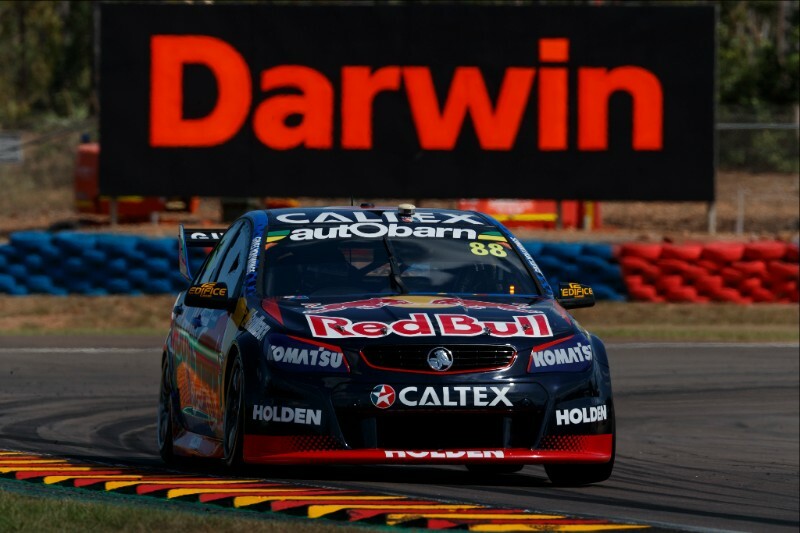 We’re ready for a massive Darwin Sunday! Make sure you tune in. 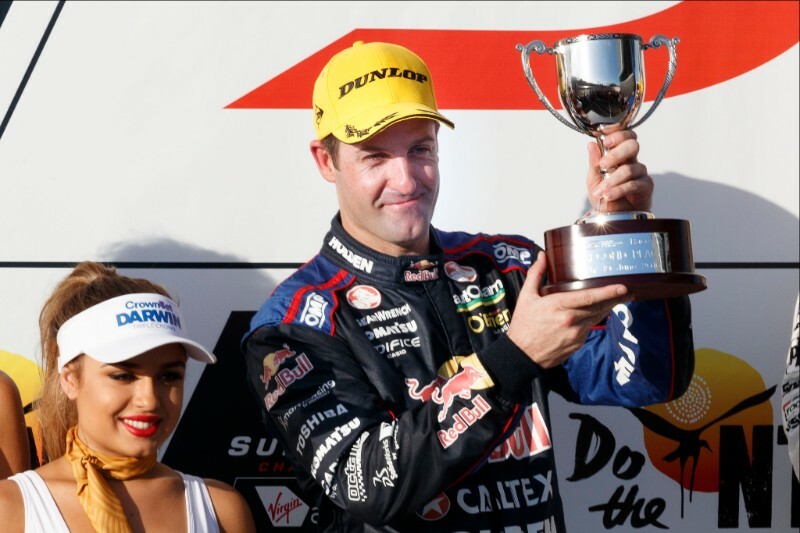 3:00pm – How was our mate Toby Price in the stadium Super Trucks? Talk about entertainment! Looking forward to Townsville when the trucks take to the streets. 12:00pm – Qualifying – tick. SVG takes pole for this afternoons race, JW will be starting from P6. Bring it on! 10:20am – A quick 15 minute practice session has been and gone. Shane finished inside the top ten in P8 and Jamie just outside in P11. Not long to go till qualifying, just enough time for the boys to cool down and top up the dry ice. 9:10am – The sun is shining this morning, it’s going to be another scorcher! Give us a wave Cauchi! 8:28am – Pit stop practice done, breakfast finished, debrief in progress and just over an hour to go until we hit the track. Bring it on! 7:33pm – Now’s the time that the brain boxes put all the good things we learnt into the cars to make them go even faster tomorrow. Well… that’s the theory anyway! Can we claim our first pole of 2016? 4:00pm – Camera’s over here guys! That’s p1 and p3 for Friday practice. 1:45pm – Red Bulls on ice to keep our heads cool in the Darwin heat. 12:37pm – They say practice makes perfect, and whoever “they” are were too right! Kicking goals with JW in P2 and SVG in P3 after a hot practice session. Those cool suits will be getting a work out over the weekend. 11:00am – Autograph session done and dusted. The boys are now gearing up for practice 1. 7:43am – It’s a full schedule today on track, with merch signings and practice sessions. Slip, slop, slap as it’s going to be a scorcher (what’s new?). 5:00pm – Don’t forget to head down to Mindil Beach to meet Jamie and Shane. They’ll be there from 5:35pm. 1:20pm – Always show your true colours on track. The charging bulls are ready for tomorrow’s practice sessions. 9:11am – If you are up the top end today why not catch a glimpse of the transporter parade? 10:30am local time driving through the CBD. Wave to Wazzie! 3:20pm – Never miss the chance to meet the team. 1:50pm – RD has left the building. 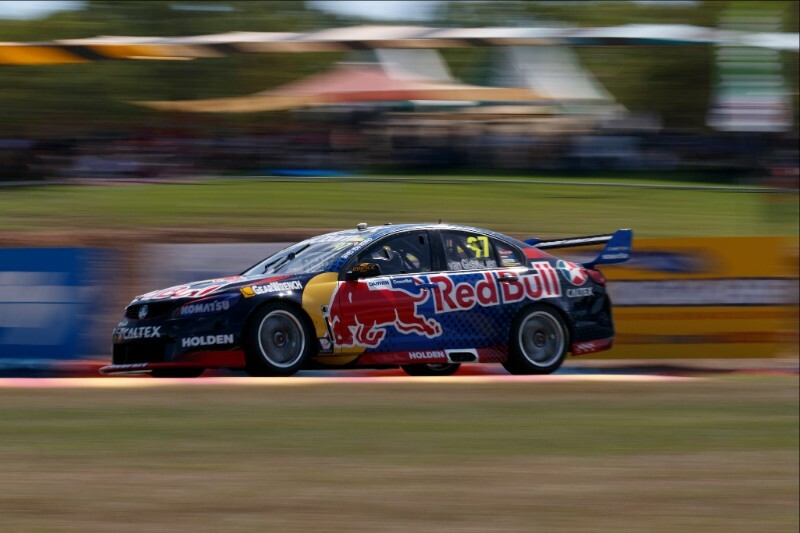 The Boss is on his way to Darwin after having the weekend off in Winton. 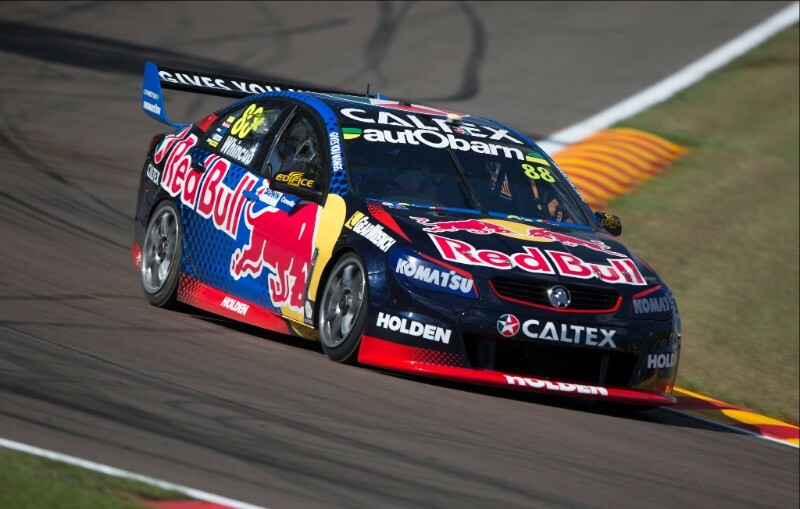 11:21am – FUN FACT – Triple Eight has won 49 VASC races under the RBRA banner since 2013 – the next race win will be the milestone 50th win for the ‘Bulls. 9:40am – Ready for the weekend? SVG is. 8:55am – The first of the crew has left for Darwin ready to roll out. Swapping jumpers for shorts, she’s going to be a hot one up the top-end. 9:32am – Having a moment. 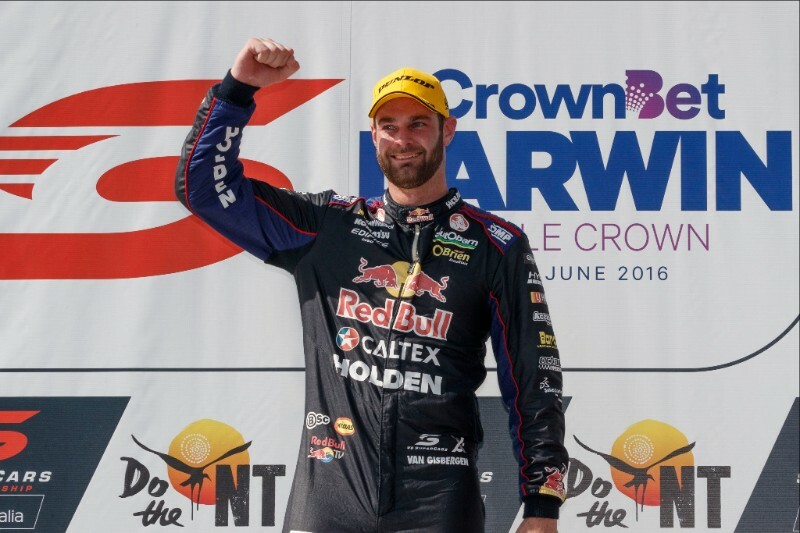 Throwback Tuesday (it’s a thing, ok) to CL’s big win in Darwin last year. Clocking that big history making 100th race win. 5:21pm – The race week rituals have started and, true-to-form, JDub and his crew are drinking all the Red Bulls in the board room over prebrief as they crunch the numbers on #bringing88back. 11:42am – Word from Wazzy is that the big bull (our Iveco B double transporter) is lapping up these Ks. ‘Roo count? Didn’t ask! 4:30pm – Trucks are packed, Red Bull stocks are high and Wazza has his driving thongs on. Looks like we’re ready for a road trip!